Details of the LG G4 have been leaking out left, right and center - today we managed to get our first inkling of the price, and it's not good news. It gets a little more complicated for UK pricing as it's generally a little bit more but a straight up conversion makes it £550 - a little below the £599.99 Galaxy S6 and £579.99 HTC One M9. We can't really speculate on the exact cost in the UK yet but we know it'll certainly cost more than the leaked US pricing. It's a bit of a let down considering the LG G3 launched at under £500 in the UK, but according to a Korean LG rep the price jump is down to the natural leather feel and vastly improved camera. With an LG event scheduled for April 28 we've not got long to wait to find out the official price and all the scrummy details of the new handset. 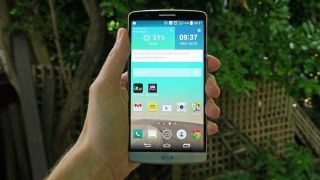 Read all the rumours of the LG G4 so far.